It was the last days of summer, 1987. 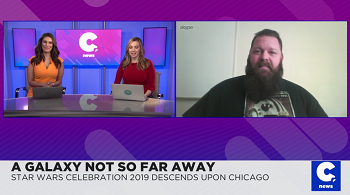 I was an eight-year-old boy who had spent most of his time off of school watching the Star Wars films on VHS while thumbing through my older brother’s D&D books. These books were magic in every sense of the word. 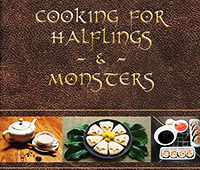 Wizards, elves, dragons, knights – it was all there. But like magic, it was written in a lost language. I didn’t understand terms like Comeliness or Armor Class – and I sure as heck didn’t know what an Attack Matrix was. Still, I was enchanted by these books, even if I didn’t know what I was reading. My own adventures begin much like young Luke Skywalkers. I was heading to Tosche Station to pick up some power converters the local flea market to spend money I’d earned doing chores around the house. Typically this was spent on comic books or the occasssionl paperback novel. But today, something was different. I could feel it in the air – sense it. The slovenly shopkeeper pulled back the chicken wire and wood-framed door of his shop as I arrived right when he opened – just as I had done every Saturday for the past two and a half months. I walked over to the table full of long boxes and began thumbing through the back issues of The Amazing Spider-Man, looking to fill holes in my collection. But then I felt eyes on me. I looked up and there, on the top shelf of a cheap wire rack, was Luke Skywalker looking at me. Han and Leia at each flank, he had a blaster at the ready. But he wasn’t pointing it at me. He was offering it to me. He was bidding me take my first steps into a larger world. Drawn to this book, I let the bagged-and-boarded treasure slip from between my fingers and reached up to take this tome from its place. My character? My own Star Wars character? Surely it couldn’t be. It was a galaxy far, far away – not one here in my hands. But it was true. I closed the book and looked again at the cover: The Star Wars Roleplaying Game. I shook my head. “No, sir.” It took five minutes before I got up the courage to ask him if there were any more chores I could do to double my chore money for the week. My dad grinned. He loved it when his children learned the ‘value of hard work.’ And work hard I did. A week flew by filled with extra dishes, dusting, and laundry. All the while John Williams’ score played in the back of my mind and as I returned to the comic shop, I was happy to see my prize awaited me. I snatched it up in an instant and plunked down three rumpled five dollar bills. I’ve been in a galaxy far, far away ever since. It was built on concepts originally introduced in West End Games’ Ghostbusters RPG. Unlike most games it used only normal cube-shaped six-sided dice. 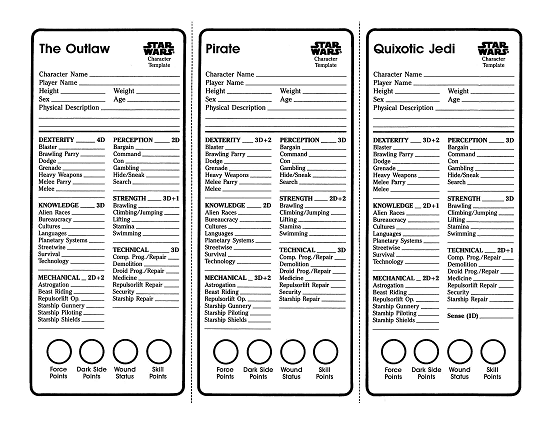 Players selected a pre-created template from one of the many in the back of the book, made a few minor adjustments, and then began their adventures as agents of the Rebel Alliance standing against the tyrrany of the Galactic Empire. 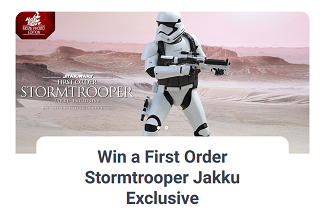 Sure, you could be a Minor Jedi, Smuggler, or Young Senatoral like the iconic Luke, Han and Leia. But the galaxy was so much larger than that. 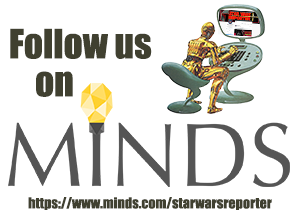 You could be an mysterious Alien Student of the Force, a Retired Imperial Captain who returned to service to regain your honor, or a Tongue-Tied Engineer who kept the battered Rebel Fleet in tip-top shape. These templates served as an immediate launch pad for players and let them jump in with both feet after only a few minutes of prep. Like all roleplaying games, Star Wars had rules to resolve conflict. 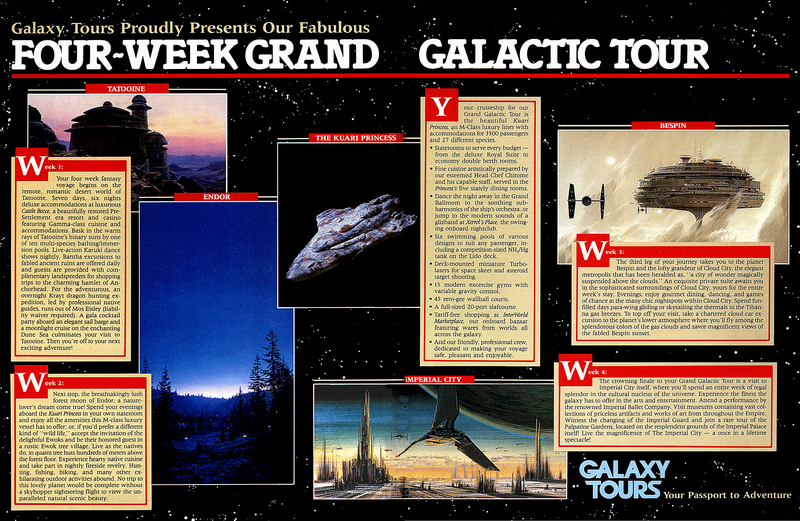 Unlike most games of the time, these rules were fast and simple – like the galaxy itself. Every character had six attributes: Dexterity (your physical coordination), Knowledge (your intelligence and education), Mechanical (your natural ability as a pilot), Perception (your awareness of the world and social skills), Strength (your brute physical power), and Technical (your understanding of droids and computers). Each attribute had a number of six-sided dice associated with it that the player rolled whenever there was a need to determine success. So a character with a Dexterity of 3D would roll 3 six-sided dice and add them together. Sometimes you might have an attribute that was slightly different, like 2D+2 – this simply meant roll 2 six-sided dice and add two to the total. If the total of a roll equaled or exceeded the a difficulty number, your character succeeded. If not, they failed. Each attribute had a number of skills associated with it. Dexterity might have Blaster or Dodge. Knowledge had things like Alien Species or Planetary Systems. Mechanical had Starship Piloting. Your skills could increase as you played your character, rising above the value of their associated attribute. So if you had a Blaster skill of 4D, you rolled four dice instead of the associated Dexterity attribute. That’s it. Fast. Simple. Elegant. But what about the Force? Well, you couldn’t play a Jedi Knight – because after all the Jedi Knights were extinct. But you could learn force powers and wield a lightsaber – if you worked very hard. The Force was governed by three skills that were independent of any attribute. Control governed how well you regulated your own body. You might use it to perform acrobatic manuevers or to accelerate your healing. 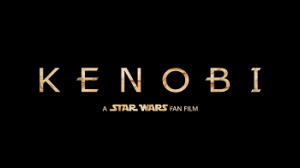 Sense allowed you to feel the ebb and flow of the Force. You might use it to telepathically communicate with a friend or see a vision of the future. Alter allowed you to manipulate the world around you. With it you could pull your lightsaber to your hand from across the chamber or crush the throat of your foe with a thought – the latter being the realm of the Dark Side. Oh, and then there are the Force Points. Force Points were something any character could use to subconciously call on the Force for aid. When Luke successfully fired that proton torpedo without a targeting computer he was totally using a Force Point. But you had to be careful. Using a Force Point for good would earn you even more Force Points to spend on later adventures, but using them out of fear, aggression or selfishness was the path to the Dark Side. The details and nuances of the game helped determine appropriate difficulties for these kinds of rolls, the effects of being injured, and how your character might grow and learn as the adventures continued. In addition to the core rulebook for The Star Wars Roleplaying Game, West End Games released a series of supplements which added new characters, new adventures, equipment, vehicles, ships, aliens, and adversaries to the gaming experience. 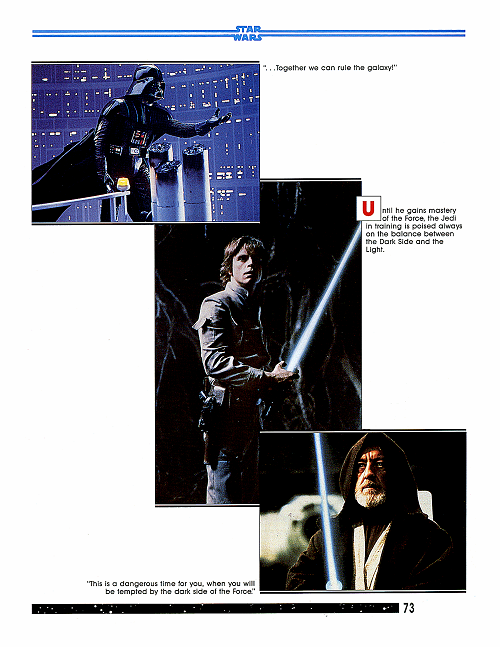 What is truly remarkable about this game and its supplements is not just how simply and easily it captured the fast-paced nature of the original trilogy, but that the designers of the game had access to extensive information from the Lucasfilm Archives, which they expanded on, added to, and developed as they fleshed out a galaxy for the player characters to adventure in. Whether you needed to know the layout of a typical Rebel Base or walk the streets of the captial of the Empire (then called Imperial City), it was present in the books published by West End Games. 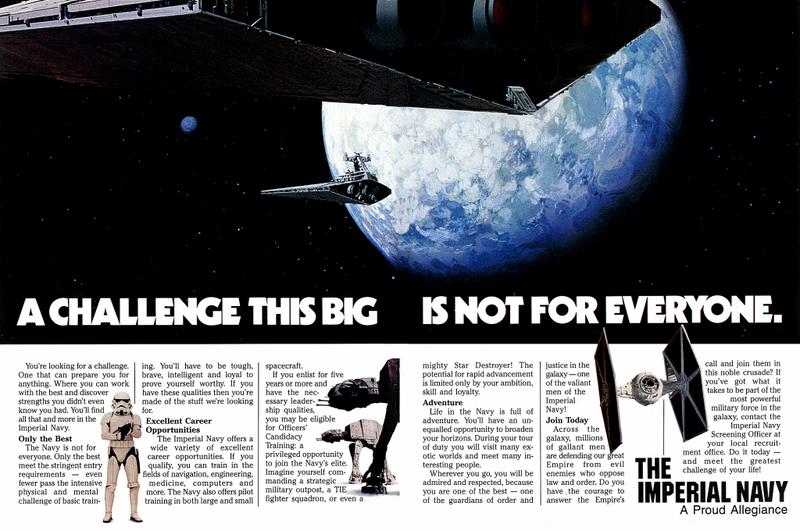 Want to know how the Rebel Alliance got the plans for the B-Wing starfighter? 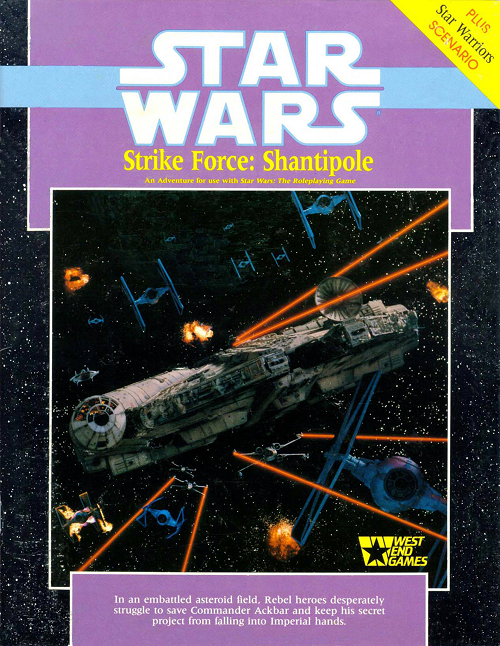 Well, that was detailed in 1988 adventure Strike Force: Shantipole where your heroes helped then-Commander Ackbar recover the experimental ship. 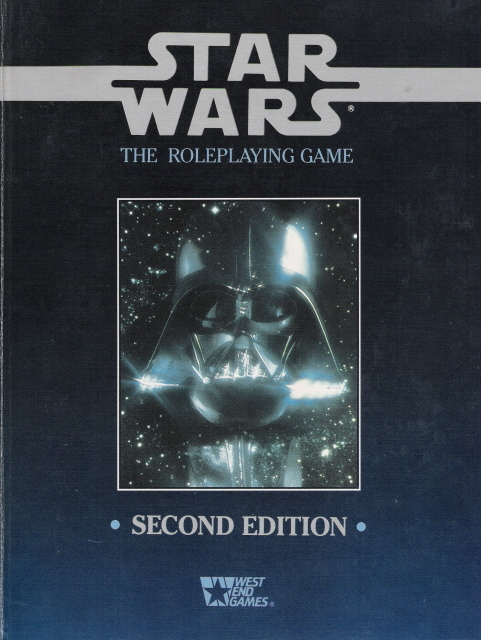 The Star Wars Roleplaying Game was set firmly in the period of the original trilogy because at that time this was the only time period in the Star Wars canon. They were, quiet literally, designing the canon as the game line was produced. 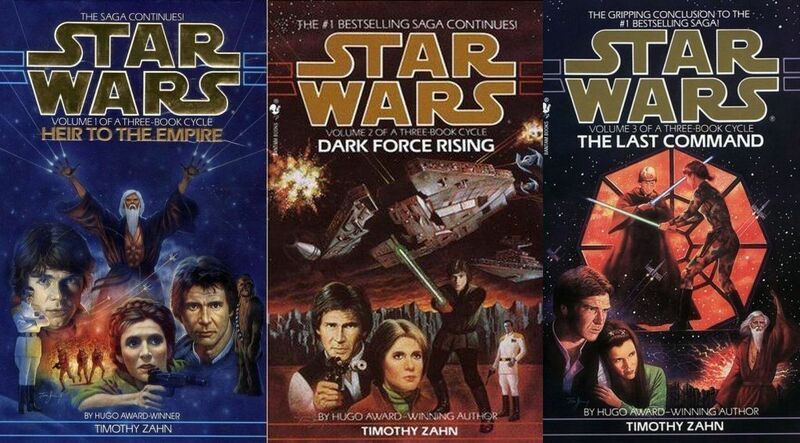 With the exception of the Marvel Comics and Brian Daley’s classic Han Solo novels, there was no expanded universe. These first cornerstones laid down by the staff at West End Games would form the foundation of a galaxy that has endured to this day. Even with the establishment of a rebooted canon, several elements of the West End roleplaying game still get subtle nods in the new Star Wars timeline with appearances in Star Wars Rebels and other sources. General Cracken? He made his first official appearance in a Star Wars Roleplaying Game supplement. The aftermath of the destruction of Alderaan? That was in the adventure Graveyard of Alderaan. How does a would-be Jedi build their lightsaber? Yeah, that’d be in The Star Wars Sourcebook. 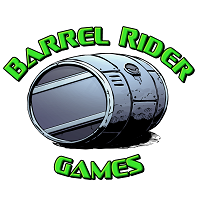 The staff at West End Games would find their ideas and concepts inspiring the likes of Timothy Zahn and Michael Stackpole, along with many of the first creators of what became known as the Expanded Universe. It all started with a humble 144 pages of adventure. But more than its simple rules and the role it would have in establishing the Expanded Universe, The Star Wars Roleplaying Game was just hands-down fun. 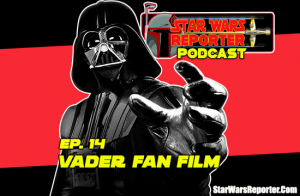 It perfectly captured the free-wheeling, high-flying, fast-and-loose style of the original trilogy – especially the original film. Because of this, it is still favored above more recent incarnations of Star Wars which grace our gaming tables today. 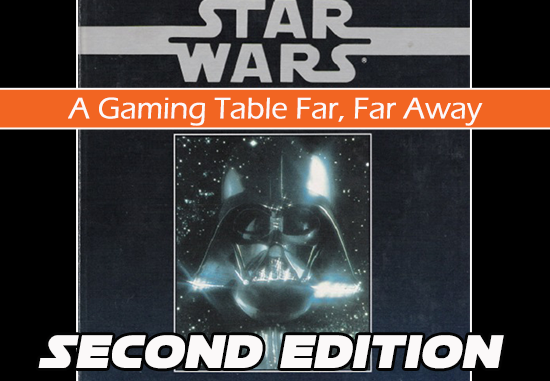 Avid fans still discuss the game, its mechanics, and how to adapt it to the ever expanding Star Wars galaxy to this day on forums and online communities. 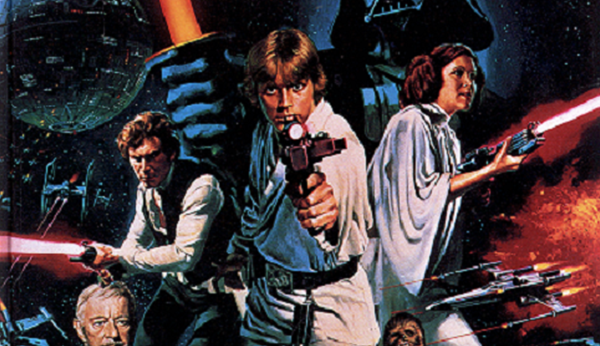 Unfortunately, The Star Wars Roleplaying Game is no longer in print. Used copies can be found on eBay, Amazon and other online retailers, though. If you’re passionate about Star Wars and new to roleplaying, this is a perfect introduction to the hobby. All you need are a few friends, some six sided dice, and the Force. Next up, we’ll take a look at Star Wars: The Roleplaying Game, Second Edition, which takes us beyond the Galactic Civil War and into a much larger galaxy and grander scope of storytelling. You can check it out HERE.